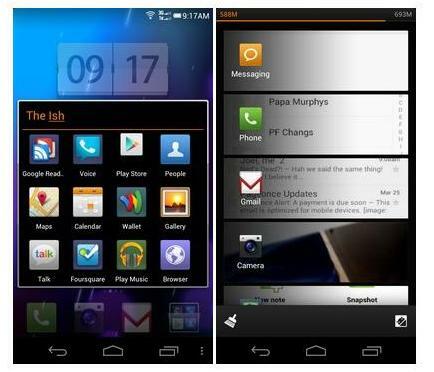 If you happen to be an owner of the Samsung Galaxy Nexus smartphone and prefer the series of MIUI custom ROMs, you just might like to learn that an official MIUI Android Ice Cream Sandwich build is now available to download and install on your Samsung Galaxy Nexus, and is a fully functional ROM, which means there shouldn’t be any bugs lurking. According to the guys over at Droid-life, MIUI has in the past been compared to iOS when it comes to the look and feel because there a a lack of an app drawer, and does resemble the iPhone interface, but basically it is still the same Android Ice Cream Sandwich that the Android faithful love. If you are new to MIUI, you can think of it as a feature rich, fully featured skin for Android, as MIUI takes Android and adds on an abundance of customisations, and if you really do desire that app drawer, well you can always download Apex Launcher or even NOVA. The guys have also come up with the instructions for installing the official MIUI ICS build for the Samsung Galaxy Nexus, so you need to download MIUI.us_toro_2.3.2 and put it in your handset’s storage, then reboot into ClockworkMod recovery. Next create a Nandroid backup, and then wipe the data/cache. Once done you install the ROM and then reboot and the job is done. So if you do happen to install the official MIUI Ice Cream Sandwich build on your Samsung Galaxy Nexus, feel free to let us know how you get on, if you experience and problems, and if you think the ICS ROM does resemble iOS by dropping us a line to our comments area below.